Kwati is the food of Mixed bean sprouts.It is one of the ideal food item in Nepalese culture.It is also regarded as one of the best apetizer food because of its cultural and medical importance over human body.Kwati especially was introduced among nepalese from Newari food.It also stands as one of the vital food stuff in the Newari food menu. Preparation: Kwati is prepared by making beans sprout. 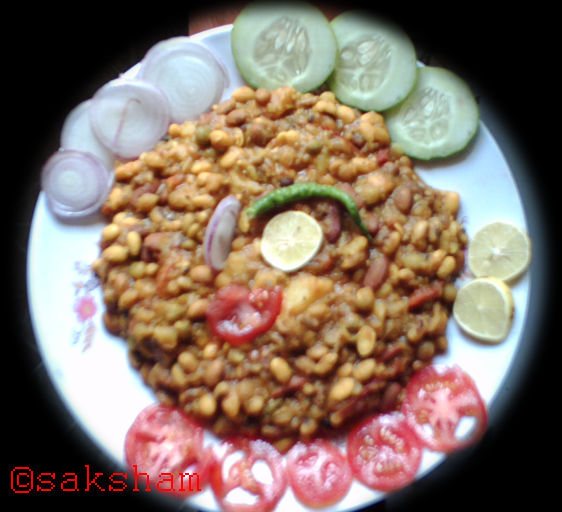 Generally, there should be nine types of beans in the kwati(chana,kerau,moong,maas,razma,simi,bodi,sanu kerau,kauli chana). However, people may put four or five varieties in the kwati.Kwati is the special food which can enumerate all nine varieties of beans which should go into the ideal kwati. The beans are soaked for four to nine days; and when they redily start to germinate they are taken out and the sprouted beans are cooked to a thick soup . Kwati is generally served with boiled rice. General use: People may eat kwati in accordance to their desires, but kwati is prescribed to be eaten at Janai purnima only, a festival in which boys wear sacred holy threads and girls tie a holy wrist band on their brother's right hand to bless them with long life. Social and ritual significance: Kwati is prescribed to be eaten at the Janai purnima (lit., the full moon of the sacred thread), a full moon when God Siva (a hindu God) is worshipped. Kwati is said to have several effects. It “makes one strong,” and it purifies one’s stomach because the beans sprouts are hard to digest and thus cleanse the stomach. Indeed, when kwati is eaten at Janai purnima, during the monsoon season, it is believed to cure several stomach related diseases. Moreover, eating kwati is said to kill a certain kind of worms in human body. Traditional importance: However, people consider that it is related to the mysteries of creation and growth. 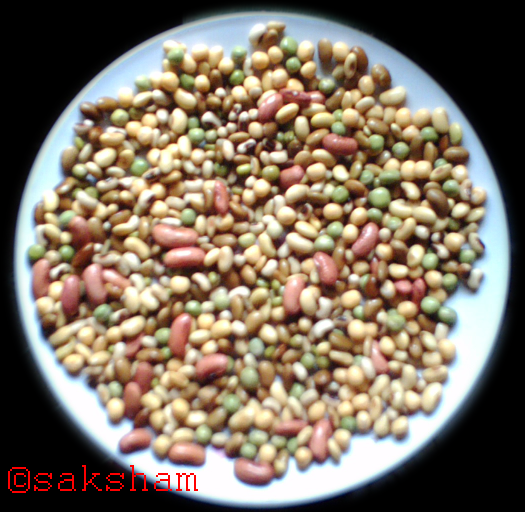 That there are nine kinds of beans may reflect a relation to the Naudurga culture (a group od nine hindu goddesses), the culture of the nine Durgas,though not been able to be confirmed. Exceptions: For one year after a demise, Kwati is not eaten in households where somebody had expired. People, living in other households, only observe this interdiction for twelve days: i.e., only in case the death occurred within the twelve days that precede Janai purnima. Kwati is not accepted from the lamaju castes. Copyright (c) 2006. Saksham Ghimire, Kathmandu Don Bosco College.